Rising tensions in Asia, with more hostile actions by North Korea and China, are prompting increased attention to missile defense, Aviation Week reports. The 19th annual Space & Missile Defense Symposium under way in Huntsville, AL, features advanced technologies that can be used in that region and also support objectives in the US’s expanding ballistic shield that protects Europe from Russian maneuvers. A slide show of some of the Symposium exhibits is here. 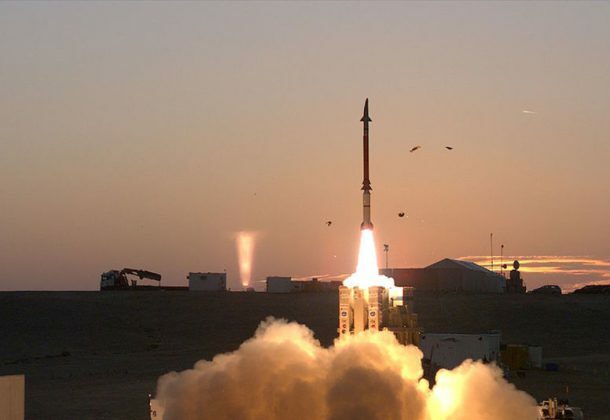 Britain is spending £184 million ($239 million) stockpiling a new version of the ASRAAM short range air-to-air missiles ahead of equipping the F-35B Lightning II combat jet with the weapon, reports Defense News. The Ministry of Defence said F-35s operated by the Royal Air Force and Royal Navy will start to use an updated version of the missile beyond 2022. It’s not easy being green: five test pilots will begin conducting night trials with a new software load for the F-35 Joint Strike Fighter helmet that they believe will spell the end to a troubling issue – the green glow on the helmet visor from the ambient light of the helmet-mounted data display, DefenseTech reports. On a dark night it skews outside light references for pilots. Pentagon researchers call for technologies t0 counter small unmanned aerial systems, an aspect of asymmetrical warfare the military services have become increasingly worried about, Defense Systems reports. The availability and low cost of small UAS has the military concerned about adversaries using the drones for surveillance or even as flying IEDs. Last weekend a load of computer code — whose purpose is to break into other computers — was leaked to the public by an anonymous entity called “The Shadow Brokers,” CNN reports. The same mysterious entity also promised an upcoming “cyber weapons auction” — the digital equivalent to putting stolen military missiles up for sale. The gang claims the stolen hacking tools were developed by “the Equation Group” — a spying entity widely thought to be the US National Security Agency and counterparts in Australia, Canada, New Zealand and the United Kingdom. Computer security experts worldwide now worry that sensitive NSA spying tools are accessible to common criminal hackers. All 147 of the US Marine Corps’ Sikorsky CH-53E Super Stallion rotorcraft will be overhauled to address safety and availability issues that have been evident in the fleet since 2014, reports by FlightGlobal. Marine Corps testers and the Office of Naval Research are teaming up to potentially air-launch a swarm of unmanned aerial vehicles out the back of a V-22 Osprey, reports Inside Defense. Marine Operational Test and Evaluation Squadron One (VMX-1) is working with ONR’s Low-Cost UAV Swarming Technology (LOCUST) program to develop a plan for the test, according to Col. George Rowell, commanding officer of VMX-1. There is not yet a firm time line for the demonstration, he said. Defense IT firm Leidos closes its acquisition of Bethesda, Maryland-based Lockheed Martin’s Information Systems & Global Solutions business, formalizing a deal announced in January, NextGov reports. With Lockheed Martin’s $5 billion IT business, Leidos becomes the government’s largest IT provider—nearly doubling its annual revenue to $10 billion—and further cements its place as a force in the growing federal health IT market. Check out this Military.com footage of F-35C Joint Strike Fighters launching from the USS George Washington off the coast of Norfolk, VA. The naval variant of the Lockheed Martin Corp.-made fifth-generation fighters is completing its third and final round of carrier testing. Cape Environmental Management Inc., Norcross, Georgia, is being awarded a $17,178,089 firm-fixed-price contract for the construction of the Hydrant Fuel Facility at Joint Base Andrews. The work to be performed provides for construction of two outlet direct fueling systems, two above-ground fuel storage tanks, a pump house and fuel filter/separator facility, transfer pipeline, and fueling apron. Work includes all necessary pumps, control systems, cathodic protection, automatic tanks gauging, site work, blast deflectors, utility connections, and security lighting. The contract also contains one unexercised option, which if exercised, would increase cumulative contract value to $17,772,494. Work will be performed in Camp Springs, Maryland, and is expected to be completed by January 2018. Fiscal 2015 military construction (Defense-wide) contract funds in the amount of $17,178,089 are obligated on this award and will not expire at the end of the current fiscal year. This contract was competitively procured via the Navy Electronic Commerce Online website, with seven proposals received. 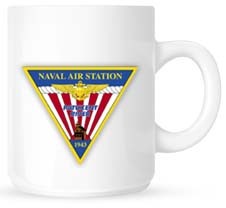 The Naval Facilities Engineering Command Washington, Washington, District of Columbia, is the contracting activity (N40080-15-C-0161). CENTRA Technology Inc., Burlington, Massachusetts, was awarded a cost-plus-fixed-fee, firm-fixed-price, indefinite-delivery/indefinite-quantity contract (HDTRA1-16-D-0004) with a five-year ordering period and a ceiling of $70,000,000 for advisory and assistance services. This contract provides non-personal services, technical support services to the Defense Threat Reduction Agency (DTRA) Intelligence, Plans, and Resource Integration Directorate and Standing Joint Forces Headquarters-Elimination. Technical support will fall into the following six organizations: Strategic Planning and Policy Integration Office; Standing Joint Force Headquarters for Elimination; Front Office, Administrative Support; Advisory Committees and Programs; Synchronization and Plans Department; and the Requirements Integration Department. Work will be performed at DTRA Headquarters, Fort Belvoir, Virginia, with an expected completion date of Aug. 18, 2021. Fiscal 2016 operations and maintenance funds in the amount of $864,925 are being obligated at time of award on task order 0001 for Synchronization and Plans Department Support. This contract was a competitive acquisition and three offers were received. DTRA-Headquarters, Fort Belvoir, Virginia, is the contracting activity.